This was a very busy week for the crypto community. 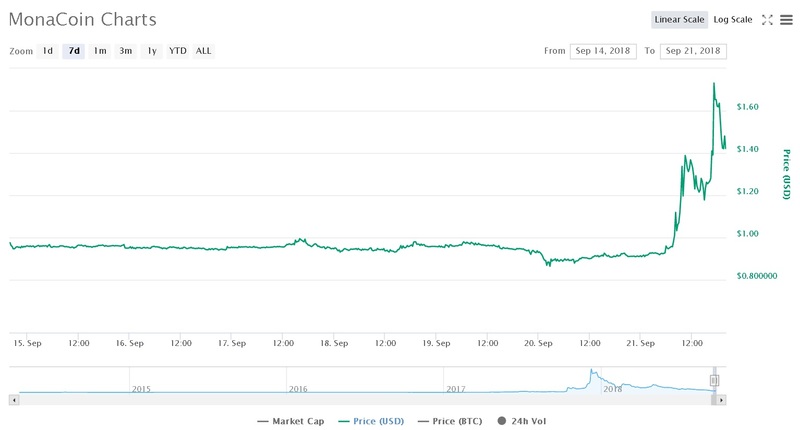 The total market capitalization was $199,8 billion as of September 14 and reached $223,6 billion by the time of writing this article. Bitcoin (Bitcoin) is still dominating the market by 51,9% at the moment, however, it was around 56% by the beginning of this week. SEC once again postponed its decision date regarding the approval of Bitcoin-ETFs, which didn’t come as a surprise. What was different from previous times, is that this time Bitcoin recovered in just two hours and kept its price as if nothing happened. So here are three Altcoins which not only managed to hold their positions but also showed an incredible price growth. XRP (XRP/USD) showed a 106,4% growth during the last week. At the moment, the market capitalization is at $23,096,110,523 which makes it the third biggest cryptocurrency after Ethereum, which is at $23,303,144,304. It looks like XRP will soon be the second coin. 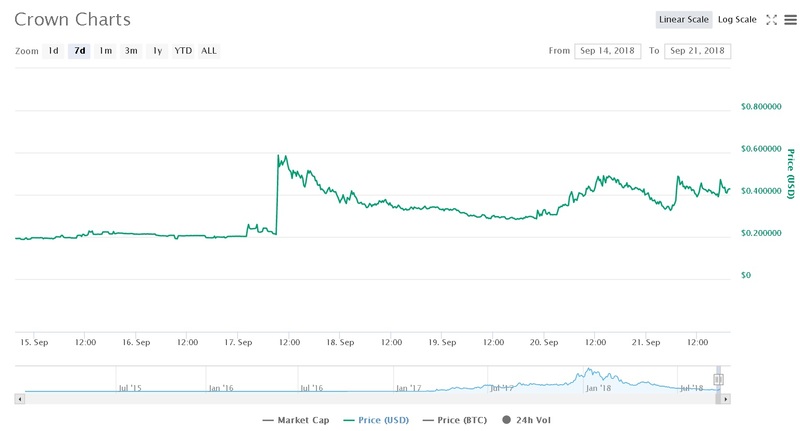 Let’s not forget the coin showed more than 73% growth last month. It is possible that we are witnessing a FOMO effect (Fear Of Missing Out). Investors are trying to catch the train and this is creating a bullish movement. However, this aggressive rise might end as violently as it started. Crown showed a 91,6% growth during the last week. At the moment, its market capitalization is at $8,861,678 which makes it the 364th cryptocurrency. A rank which wouldn’t be a point of interest. Crown was intended to act as a fast trading venue for cryptocurrency so that the master nodes can process and release all new transactions very quickly. Furthermore, an API payment infrastructure is used, which allows the expansion of the business model using normal nodes. MonaCoin showed 54,1% growth during the last week. 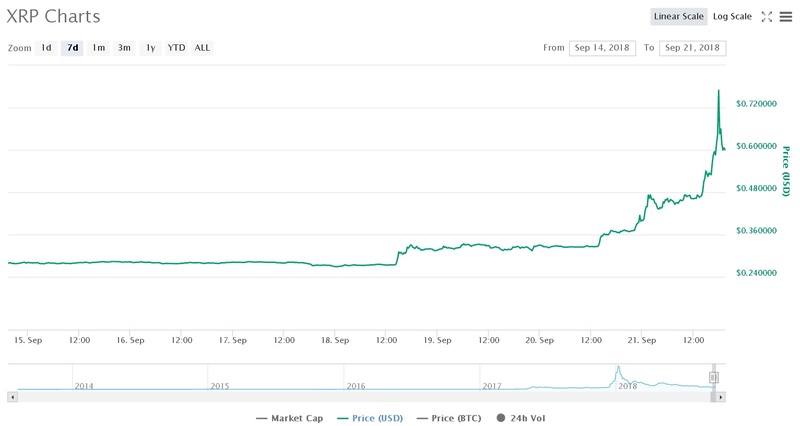 At the moment, the market capitalization is at $88,238,846 which makes it the 71st cryptocurrency. MonaCoin was created in Japan and it was the first cryptocurrency born in the country. The success and popularity of MonaCoin are clear from the fact that this digital currency is being accepted in many Japanese shops. Only a few non-bitcoin cryptos have achieved such a stupendous popularity despite the geographic concentration of its existing users.